In the mortgage world, a “rate and term refinance” refers to the replacement of an existing mortgage(s) with a brand new home loan. The refinance loan comes with a new interest rate (ideally lower) and a fresh mortgage term, such as another 30 years. The existing mortgage is effectively paid off by the opening of the new refinance loan, with the old loan balance transferred to the new loan. The issuer of the new mortgage pays off the old loan with the proceeds from the new loan so everyone is square. Using my example from the illustration above, our hypothetical homeowner has a relatively high mortgage rate of 5.25%, but current mortgage rates are a much lower 4.25%. If they chose to refinance their mortgage, it would be a good opportunity to do so to lower their monthly payments significantly. On a $300,000 loan amount, the monthly payment would fall from $1,656.61 to $1,475.82. That’s nearly $200 in savings each month! And a ton of saved interest over the life of the loan. When you obtain this new financing, you can either go back to your original mortgage lender or shop around with other banks and lenders. Generally, it’s best to see what other lenders can offer, instead of simply relying on your original bank/lender. Either way, when you refinance your home mortgage you are seeking out new financing terms for one reason or another. It could be to lower your monthly payment, get rid of mortgage insurance, or simply to switch loan types. Read more: How does mortgage refinancing work? What type of mortgage refinance are you looking for? The simplest type of mortgage refinance is called a “rate and term refinance” because the borrower is merely changing the interest rate and term of the loan, and perhaps the loan program, but not the loan amount. It may also be known as a “no cash out refinance” for this reason because no additional money is being borrowed via the transaction. So if you owe $500,000 and execute this type of refinance, you’ll still owe $500,000 when all is said and done, but your mortgage payment might differ, along with your lender and loan program. Typically, a borrower will consider a rate and term refinance if their current mortgage is an adjustable-rate mortgage and the fixed period is due to expire. Or if mortgage rates have dropped significantly since they originally took out their ARM or fixed-rate loan. An example would be a 3-year ARM. The first three years are fixed, and then the mortgage becomes annually adjustable, based on the margin and index tied to the loan. At or before this first adjustment, borrowers will often look into refinancing their mortgage to avoid the impact of the fully indexed rate, assuming it’s higher than the initial rate (which it often is). These types of loans are rarely held to maturity (or even close to it) because most homeowners don’t like the risk of a variable interest rate. Even those with a 30-year fixed are unlikely to hold it for more than 10 years before refinancing or selling their property. Another common reason to refinance is to drop private mortgage insurance, which can be removed once the borrower has 20% or more home equity. It may also be a good option if your credit has improved significantly since you first took out your mortgage, thereby allowing you to qualify for better terms. Most short-term ARMs are hybrids with 30-year loan terms, with both a fixed and adjustable component. In the scenario above, the interest rate is fixed during the first three years of the mortgage and adjustable for the remaining 27 years. This is typically represented as a 3/1 ARM. After the first three years are up, the interest rate becomes the sum of the margin and index, and can adjust once annually either up or down. However, it tends to go up. Instead of getting stuck with a higher rate, the borrower can seek out new home loan financing that is lower than the fully-indexed rate, whether it’s another ARM or a fixed-rate loan. In the example above, if the borrower doesn’t refinance after three years, their interest rate will jump from a low 2.875% to a much higher 4.25%. There are initial rate caps that may limit the amount the interest rate can actually rise (or fall), but it usually won’t be sufficient to keep the mortgage rate in check in a rising rate environment. So most borrowers will likely look to refinance their existing loan to a new loan with a longer fixed period and ideally a lower interest rate. Or simply refinance into another ARM with another initial teaser rate if ARM rates are still attractive. If you happen to be replacing a fixed-rate mortgage with another fixed-rate mortgage, you may want to shorten the term while you’re at it, assuming you want to pay off the loan as originally scheduled (or ahead of time). Otherwise you’ll be looking at a fresh 30 years on the new refinance mortgage, and it’ll take much longer to actually own your home outright, assuming that’s one of your financial goals. Of course, a shorter loan term will require a higher monthly payment in most cases, so it’s not always a viable option for cash-strapped borrowers. An affordability calculator will help you determine this. Sometimes it’s good enough just to get the interest rate and associated loan payment down to a more affordable level. As noted, homeowners have the choice of refinancing their existing loan with their current mortgage lender or shopping rates and loan programs with a new bank, lender, credit union, or mortgage broker. It is always recommended that you shop around when refinancing your mortgage, as mortgage rates, closing costs, underwriting requirements, and loan programs can and will vary greatly from lender to lender over time. Your original lender may have had the best deal when you first took out your mortgage, but that might not be the case today. Although there will be closing costs associated with the new refinance mortgage, the lower interest rate should eventually offset these costs and benefit the borrower in the long run. This is known as the “break-even point of the refinance” – essentially when the closing costs, things like the origination fee, title fees, and points, are absorbed by lower monthly mortgage payments, so subsequent monthly payments save the homeowner money. Be sure to include how long you plan to keep the new loan when running the numbers through refinance calculators, otherwise they may assume you’ll hold the loan to term. This can throw off the math considerably. Think of it this way. If the homeowner stays in their adjustable-rate mortgage at 4.25%, they will pay $2,459.70 a month in principal and interest payments. If they refinance into a lower priced fixed-rate mortgage, or an even cheaper ARM, say at a rate of 3.5%, they’ll pay $2,245.22 a month in principal and interest payments. That’s a savings of about $215 per month. Sure, there may be closing costs associated with the refinance mortgage, but the monthly savings will cover those costs over time if they stick with the mortgage. But if they only keep the new loan for a year or two, those costs may never be recouped. However, it might also be possible to execute a no cost refinance where you pay no closing costs in exchange for a slightly higher-than-market rate, but still receive an interest rate well below your existing one. These monthly savings are exactly why a homeowner would opt to apply for a rate and term refinance – to obtain a lower rate and payment relative to their current loan. Of course, if they only stayed in the home/mortgage for a year or two, perhaps they wouldn’t recoup the costs associated with the refinance. In that case, it would be a poor decision to refinance. So always take the time to do the math and look ahead to the future before agreeing to anything. There are plenty of refinance calculators out there that can do the math for you, taking into account mortgage rates, loan term, types of loans, closing costs, and more. Tip: Most mortgage lenders will let a borrower take out incidental cash-out of the lesser of 2% of the loan amount or $2,000 – $5,000, and still consider it a rate and term refinance. Anything beyond that would probably be considered a cash-out refinance, which is the other popular type of mortgage refinance available. dealing with 2 lenders one is offer 25yrs 3.99% and other 30yrs 3.75%. which is better over all. Sam, a shorter term fixed mortgage should have a lower rate. For example, 15-year fixed mortgages should always price lower than 30-year mortgages. So in your scenario, the 25-year loan should be priced lower than the 30-year. However, shorter term fixed loans can result in you paying less interest, meaning the 25-year loan could save you money over the entire term of the loan. But when rate shopping, you should find that shorter term loans come with lower rates. Thinking about doing a rate/term refi on my current mortgage. I got it back in 2003 at a rate of 5.25%. It’s a 30-year fixed. I’ve been offered a rate of 4.5%. Is that a good deal? Seeing that you’ve held the loan for a decade, you’ve already paid quite a bit of interest. And if you refinance to another 30-year loan, you’ll pay a lot more interest, assuming you hold the loan to term. With the two rates being not all that far off, a better idea might be to look at a shorter-term loan, such as a 15-year fixed. You’ll get a lower interest rate too. But if you plan to move anytime soon, as opposed to paying off the loan, you might not want to invest more into your home. Use some calculators to see the actual math before making a decision either way. A rate and term loan only makes sense if interest rates are significantly lower than your current interest rate. There was a good window of opportunity there for a few years, but it seems to be over for most people today, unless your rate is above 6% or so. Another good reason to do a rate and term refi is to reduce the loan term. e.g. Going from a 30-year loan to a 15-year loan to save a ton of money on interest, especially if the new rate is low enough to offset the increase in payment. My current rate is 5.25% on a 30-year loan. I’ve had it since 2010. Should I refinance to another 30-year fixed at 4.625% or go with an ARM instead? It depends on how much cheaper the ARM is, how long it’s fixed for (5/7/10 years), and if you’re okay with it adjusting higher. Fixed loans come with peace of mind, while ARMs give you immediate payment relief. Depends what you’re looking for and what your goal with the property is. Don’t refinance to an ARM unless you know you’ll be out by the time it becomes adjustable. Rates are only going higher! Are rate and term refinances cheaper if you don’t take any cash out? Generally, yes, the mortgage rate will be lower for a rate and term refi. Additionally, you’ll typically have added flexibility, such as a higher LTV allowance, and/or a lower credit score requirement. Can you do a rate and term refinance with no seasoning? I recently purchased a home and want to switch loan programs. Some lenders may make you wait 120 days, or 4 months, before getting a rate and term refinance, but others have no seasoning requirement. Shop around. If I am paying off a home equity line of credit on a home i paid cash for originally, am I able to apply for a rate and term refinance? My loan officer told me it would be considered taking cash out. If the home equity line wasn’t a purchase-money HELOC, that is, used to buy your home, lenders consider it cash out when you refinance if it’s a subordinate mortgage. If it’s in the first-lien position it may be eligible as rate and term. Question, purchased a home 7 years ago with conventional financing. Lost this home in foreclosure 5 years ago. Purchased another home 4 years ago using FHA financing. I now want to refinance to conventional financing to eliminate the mortgage insurance. I am being told I cannot as I have to have the FHA loan a minimum of 5 years. Is this correct? Any way around it? Maybe they’re telling you that you have to pay MI for a minimum of five years if you stay with the FHA. You can refinance away from the FHA and drop the mortgage insurance whenever, assuming you qualify for a conventional loan. But that might be the issue at hand. Do the math to see if the rate change on the new loan and MI drop makes sense. Also consider how much longer you have to pay MI on your current loan if the rate is lower, you could avoid refi fees and save money potentially. Having no intention initially of staying in our house longer than 5 years, we have a 40-year conventional loan with a 6.5% interest rate. With the drop in the market we have found ourselves staying into our 8th year, and would love to lower the interest and convert to a shorter term loan. We are no longer upside down, but still have a high LTV. Do you know if anyone is doing rate & term refis with a high LTV? We have great credit and have never missed a payment. It depends how high the LTV is, but there should be plenty of options, especially with programs like HARP out there. If you’re currently stuck at 6.5%, you can certainly do better and pay off your mortgage a lot quicker with a shorter-term loan. Do some shopping around to see what’s out there. Your home’s value might even be higher than you think. can home owners use an interest rate swap to convert the variable portion of a HELOC to a fixed rate if the if house is “under water”? I am in foreclosure I need $380.000 to pay the lender off I just got an appraisal in May 2016 home is worth $585.000. I have a full time job $6200 at the end of each month. I live North of Edmonton in the Westlock County. I am just looking for a second chance I do not and cannot lose my home for the last 16 years. Thank You from my family and me. I want to pay off two mortgages taken out at different times. Is this a rate and term or cash out? It’s possible it could be treated as cash out if the second mortgage was a non-purchase money transaction. At the beginning of the article you mentioned “The existing mortgage is effectively paid off by the opening of the new refinance loan, with the old balance being transferred to the new loan.” So my question is could I get a term and rate refinance in order to achieve the same results? In essence, would bank 2 pay back Bank 1 (private lender) their loan balance? It sounds doable as none of the funds would be going to owner but to the original lender. The seasoning requirement for a term and rate refinance is much shorter and the numbers are better than most cash out refinances so if that works it seems like a great option to me. Just wanted to clarify. My site is in reference to residential lending but the concept should be the same, you’re paying off the original lender’s loan and getting a new loan, thereby releasing the money owed to the first lender. If someone was doing a refi and they were using funds to payoff an ex-spouse, is this considered a rate and term refi or cashout? Generally, if the proceeds exceed $2,000 it’s no longer considered a rate and term refi. 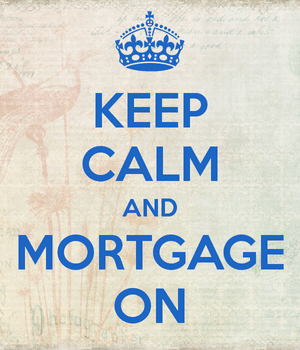 It doesn’t really matter what the proceeds are for if they aren’t paying off an existing mortgage. I have a FHA loan it will be 5 years in Nov 2017 through WellsFargo . I called they told me that the PMI is not set to fall off until 2021 . How can I get it off sooner ? Should I look into refinancing ? Can I get the PMI off without refinancing ? A refinance might be the easiest way, and it’s also possible to secure a lower interest rate in the process. The only other alternative might be paying down the outstanding balance on the FHA loan to get it down to 78% LTV, based on the original value of the home when you bought it. But that could require a lot of money depending on where your loan balance is relative to the original value. We are looking to purchase a house with a 5% conventional loan with a rate of 5.375% and were told in 6 months we could do a rate term refi to drop the rate and PMI fee would that be smart to do? What did they tell you would change in six months that would allow you to get a lower rate and drop PMI? My worries are how much I can trust the lender officer that we can get the interest rate of 3.3% and we have to pay only 1 thousand and some to get that rate. I’m sure what we are going to do to get all that he offered, but how a trust him if he can do his part. What really scares me is that after the 6 months, even when we did our work he can say that the market changed or came with others excuses and we get a higher rate. and we’ll be in the hot spot, we have to make decision soon. Advise, please. Thanks. I don’t know what he means by a trial? It sounds like two refinances to me, once to a 30-yr fixed then eventually to a 15-yr fixed? That would explain why the rate is much higher on the first refinance and lower on the second because 15-yr fixed mortgage rates are much lower. You and him are right that the market can change and rates can move higher during those six months, there is no guarantee. So it’s possible that 3.3% rate will not be available in the future. However, rates can also stay the same during that time or even go down. My question is why it seems he needs to refinance your mortgage twice? To make more money or for a legitimate reason?